Buying a new home is always a momentous decision. It means a change in address, a change in lifestyle, and it also brings plenty of financial changes right along with it. However exciting it is to think about finally settling down in that roomy Cape Cod on the hill, buying a home can also be one of the most stressful transactions we ever make. Between the uncertainties of the housing market and the challenges of seeking a loan, the road to homeownership is seldom perfectly smooth. That said, with a little bit of preparation, prospective homeowners can make sure that financial worries don’t get in the way of purchasing the home of their dreams. If you’re thinking about purchasing a home within the next six months, it’s important to know where your credit score stands. Loan officers always examine credit scores during the pre-approval process, and a poor credit history may keep you from getting a loan. Be realistic with your assessment. If you’ve racked up a lot of unpaid debt, you may want to consider a cheaper home, or even think about holding off on purchasing a home until your finances are in better order. If you have a decent credit history, you’ll want to do everything you can to improve your score before you meet with a mortgage loan originator. To this end, you should pay off as many unpaid debts as you can (including multiple credit card balances), and keep around the “good debt” that you’ve been paying according to schedule. In the meantime, make sure that you’re paying your bills on time: each completed payment will boost your credit score and improve your standing in the eyes of a loan officer. Buying a home is a significant financial investment, and the last thing you want to be doing in the months leading up to your big move is acquiring new debt. This doesn’t mean that you have to sacrifice your morning chai latte, or that you can’t enjoy your life in the meanwhile, but it might be wise to exercise a little more caution with your purchases. We often make credit card purchases without reflecting on how much they might cost us in the long run. Using cash or a debit card is a good way to make absolutely sure that you aren’t spending more than you have. Keeping tabs on your finances is the best way to get a feel for how much you’ll be able to put toward your mortgage each month. Add up all your monthly bills, including rent, utilities, living expenses, insurance, loans, and anything you’re putting aside in a savings or retirement account. Subtract this number from what you expect to earn each month. The number you wind up with is on the high end of the amount that you might realistically contribute to your mortgage. If you think significant home improvement is in your future, calculating your monthly expenses will also give you a handle on how to adjust your finances to cover future upgrades. Think of it like a vacation. You wouldn’t go to Aruba with just the clothes on your back; you’d want to pack underwear, toothpaste, a toothbrush, shampoo, and so on. In the same way, it’s wise to assess your needs, hopes, and desires before you move into a new home. How big of a backyard do you need? How many kids do you have? Do you have a baby on the way? What upgrades, expansions, and improvements do you see yourself making? By laying out your expectations, you can more accurately determine the sort of home you’d like to move into, and more realistically gauge the sort of expenses you might encounter along the way. If you’ve already taken all of the above steps and you feel secure about your finances, it’s time to meet with a loan officer and work toward pre-approval. If you happen to have contacts in real estate, they may be able to connect you with a loan officer who will keep your interests in mind. If not, be sure to do your research: compare the rates and mortgage terms offered by a handful of different loan officers in order to find the right fit. Once you’ve settled on the loan professional you’d like to work with, be sure to call ahead and ask the loan officer which documents he or she will need. If all goes well, after you’ve met with the officer and submitted your documentation, the officer will supply you with an official letter of pre-approval. 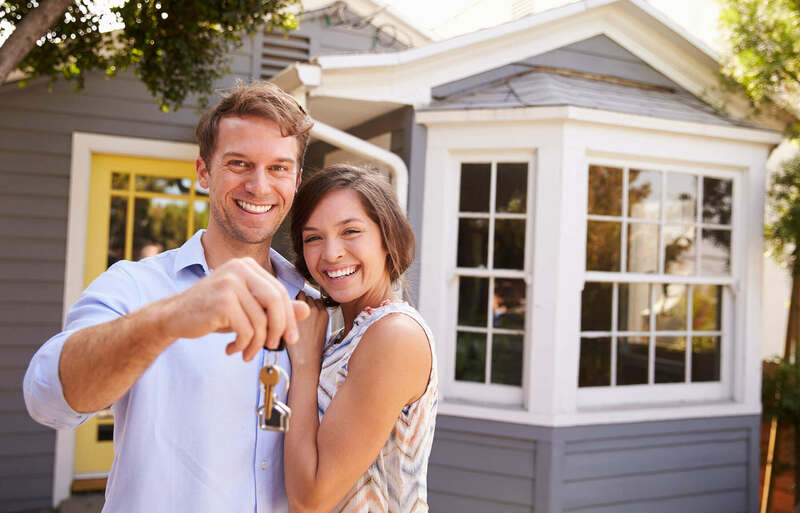 The pre-approval application process will give you a realistic assessment of the amount you can spend on your new home, and will also establish the most appropriate financing plan for you. Once you’ve secured pre-approval, it’s time to meet with your real estate broker to start the process of choosing a new home. You’ll want to bring that wish list of yours along to the meeting. The realtor will consider your expectations, assess your budget, and provide you with a list of promising residential options in your area. Feel free to do some research beforehand: a printout of homes you’ve looked at online can be helpful in showing your realtor what you have in mind. Your agent will also review the buying process with you, including the different types of contracts you might expect to encounter as you’re closing the deal. No matter how well you prepare, buying a home is expensive and often comes with unanticipated costs. For that reason, you’ll want to err on the side of frugality. Plan to tuck away a little extra cash each month to cover closing costs, your earnest money payment, and any additional contributions you’d like to make to your down payment. Owning a home is an investment, and all investments have their ups and downs. A good team of your lawyer, lender and realtor will stay with you every step of the way to help you through the good times as well as the bad. Whatever the future may hold in store, a little preparation goes a long way, and as you settle into your new home, keep these eight steps in mind to make sure that you get the most out of your investment, and so that you can truly enjoy the comfort and stability of homeownership with none of the stress that sometimes comes with it.